It’s called the Capital Needs Analysis spreadsheet, and it allows you to plug in a number of variables including years to retirement, years until retirement, current portfolio amount, inflation rate, investment return, and income required at retirement. It then spits out four different answers, ranging from how much you’ll need such that you’ll run your portfolio down to zero at the end of your projected retirement to how much you’ll need to maintain the same inflation-adjusted dollar amount in your portfolio throughout retirement. Keep in mind here that we’re really talking about net investable assets, and not true net worth. 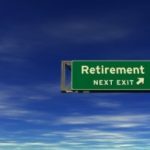 If I push things back to an early retirement at age 55 (and increase the retirement period to 40 years), then we’ll need to amass a nest egg of just over $5 million. This strikes me as somewhat odd, in that the required nest egg is lower here than with the later retirement. But perhaps it’s because these numbers account for inflation, so our required income won’t have to be as high in 2026 dollars to give us $100k in spending power? Regardless, we’ll have to get there in less time, so it’ll cost us much more per month to make it happen — nearly $8, 300/month. If I push things back even further, resulting in a retirement age of 45 (with an increase in the retirement period to 50 years), I learn that we’ll need a bit over $3.4 million at retirement, and that we’ll have to save just shy of $21k/month to get there. Yikes! Of course, these answers are all highly dependent on the variables that you plug in. For example, is 4% inflation realistic? Or perhaps your cost of living is increasing more rapidly? What about a 7% rate of return? Too generous or too conservative? And will we really need $100k/year, considering that our house will almost certainly be paid off prior to retirement, and that the numbers above assume no further investment contributions and no outside earnings? One could retire quite easily in say southern Mexico and live quite well on about $2,000 a month. Add another $500 a month (ca. $6,000 a year) to cover things like plane tickets home, surprises, and rainy day dollars. $2,500 a month and that includes savings. Social Security would cover much of this (about 40% if you begin drawing early). So…$1,500 a month or $18,000 a year. Multiply this by 30 years and we are at $540,000 without counting any amount of interest you may make on your retirement savings. Why struggle in the U.S. when you can live very well overseas? Geez. I keep wondering who are all these frugal people who seem to need a gizillion to retire, early or otherwise. Ahh the sweet thought of retiring early. It would be nice, but not sure if it’s really possible. It’s great to see that you did point out the possibilities of future variables like, cost of living increase. Great article and I’ll definitely have to check out that calculator. I’m guessing here, but there must be some way to time average the inflation rate over any period that would like, in the same way that the stock market gain can be averaged over any period. So I prefer to use numbers that are less conservative — but not unrealistic. Again, you need to put your “young” money in growth positions (ie relatively risky) to get the big returns. But relatively conservative investments should still earn a lot for you. If the market can average close to 10% over time, then your conservative investments should earn 7%-8% — once you actually switch to them. This calculator easily shows why such a small difference in portfolio performance can have a huge impact on retirement age and income. So “risky” investments might only earn you a couple or even a few percentage points above “safe” investments, but those few points are crucial for the growth period of your (and MY) portfolio. So yes, to project 7% or 8% over the whole lifetime of your portfolio is conservative, I really don’t think that it’s realistic and can even be detrimental if it shows people such bad news that they say, “Why bother?” and go out and spend that savings. I love ER calculators… mainly because I keep trying to see if we are going to pull off our 9 year plan. This one comes pretty close! There is no “historical” inflation number. historical numbers vary depending on the period of history used. 3% tends to be used often because it is based on more recent price history; however, I think that 3% is a little too low to base such important plans on. Regarding investment returns, it is dangerous to use too high a return in a strait-line (using the exact same return each and every year) calculation. Real life does not happen that way, and you’re ignoring investment volatility. In reality, pursuing a higher return usually results in greater short-term volatility, which increases timing risk, which leads to a greater number of possible outcomes from saving and investing over time. Even if you are correct with your average return guess, your resulting wealth could be significantly less than what this calculation predicts. This is because *when* returns happen is much more important than *what* they average. Sure, it could also be much higher, but we’re talking coin flip odds here. I wouldn’t base such important plans on a coin flip either. For the sake of reference, the CPI is currently running around 4.1%. Keep in mind that the “core inflation rate” excludes things like groceries and gas, so it actually appears to be lower than the CPI. I put in a retirement at age 55 with inflation 3% and interest 9.5% and came out VERY close to what I’m already saving. Woohoo! Nickel: I think that 8% is pretty conservative. I see your point about switching to more conservative investments over time, but I read that many of these conservative approaches should still earn you 8%, so the average should be a good deal higher than this. I also think historic inflation rates have been closer to 3%, though please correct me if I’m wrong. @ Ria Rhodes – I’m not sure why you think the concept of retiring ‘real early’ and living well is laughable. I plan to retire no later than age 50 (shooting for age 45) and maintain my current standard of living, which definitely isn’t spartan. Until then, I’m save save saving as well as working to get the mortgage paid off early. Of course I don’t neglect the need to be well-insured (including disability insurance) and when the time comes I’ll investigate LTC insurance. Good thing she didn’t get a serious illness in early retirement, or that rosy scenario wouldn’t have been so warm & fuzzy. Few Americans understand the consequences of what happens when serious long-term illness befalls a self/spouse/dependent – I do. You all can play with those “what if” calculators, and run the Monte Carlo fairyland scenarios. I’ll just keep paying my long-term care premium, and save save save in tax-managed accounts and ignore the noise. Retire real early and live really well huh? OK I admit I’m trying not to LMAO. 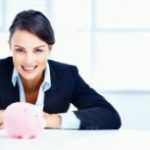 Interesting about the earlier your retire the less you need. I guess because if you retire 7 years earlier, you would need ~60% of the money. Since over the next 7 years that money would in theory double, thus growing faster than you could take it out. It really is a depressing thing looking at what it takes to retire early…though its simply a result of compounding interested. By definition , six extra years makes an impact of 2x-6x. Why so much? Aside from assuming the 2x of just compounding interest, the later earning years tend to be the biggest earning years. Given that you spend about that much now and don’t want to decrease your standard of living, that makes sense. I’m planning on retiring very early, but I’m also drastically cutting my expenses in order to do so, which makes the total amount I need to save *much* lower. Solitude: Excellent question. I picked that somewhat arbitrarily, mainly for illustrative purposes. This is also in the ballpark of our current standard of living and I don’t want to assume a major decrease in standard of living, especially since retirement would mean that we’d have much more time available for travel, etc. Some expenses would decrease or go away (e.g., we wouldn’t have to save for retirement) but others would kick in (e.g., health insurance). Also, we have four relatively young kids (youngest is three) so we’d have atypical expenses in retirement (like college costs) depending on how early we retire. Then again, once they’re on their own, our expenses would drop substantially. Why $100k of purchasing power? I haven’t been reading long and am not completely familiar with your financial philosophy/goals, but that seems awfully high, so I’m curious. 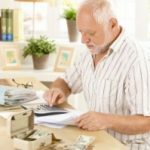 One thing to keep in mind is that odds are many of the dollars you are relying on in retirement will not be taxed as highly as income you earn today are. If you hold savings in a taxable account, the withdrawal of principal is completely tax free, and the gains will be a mix of regular tax rate and capital gains taxes. So if you withdraw $100K from your accounts when you retire, you will have more cash than if you earn $100K as income. Now of course, tax deferred instruments like 401(k)s and IRAs look like income and there’s no way to tell with precision what will happen to the general tax environment in the future, but it’s something to think about. Zachary: I know we could go round and round about this, but I think that 12% is pretty high for an investment return, especially when you consider that you should be moving to increasingly conservative investments as you grow older. I love having the age advantage. Basically I put in retire @ 50 (30 years) I put in a 5% inflation rate, and a 12% average investment return, with an expected cost of living in todays dollars of $50,000K, no additional income expected. I need to be saving at a rate of $773 a month. Now, assuming I have no mortgage, $50K in income annually is a heck of alot of $$$. I’m a pretty content guy (usually) so I don’t really need nearly that much. If I wanted $20K in income for regular spending, everything else the same, I simply need to save $223 per month. If I wanted to wait till 60, I have to save a mere $33 a month. Pretty neat. Great calculator. I’ve always planned to retire at age 50 but the calculator shows me it may be possible to retire even before then. Great article, which neatly summarizes the benefits and drawbacks on any “one size fits all” calculator. The financial planner in me loves to see that these things err on the side of caution and make people really think about how much money they’ll need to meet their goals. But the human in me knows that too many people, when faced with the numbers you referenced, will be overwhelmed to the point of doing nothing. They can’t get close to $4,329 per month, so they figure “What’s the point in saving ‘just a thousand? '” Learned helplessness is never a good thing. Everyone’s retirement is different – in how we get there and what we envision for it. 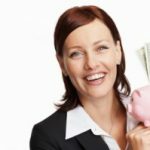 I had a relative retire with her own modest home (no mortgage) and $25K. That was it. She lived 20+ years and left a $10K inheritance. She was happy. Her biggest expenses were bowling and Chinese food. Will that work for everyone? Probably not everyone, but it will work for some folks. We all have to remember: no one gets to retirement and wishes they had saved less.